Installation. 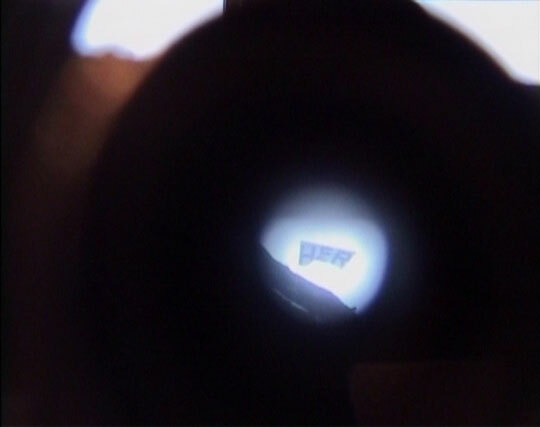 Flag (6 x 2 m), telescope. 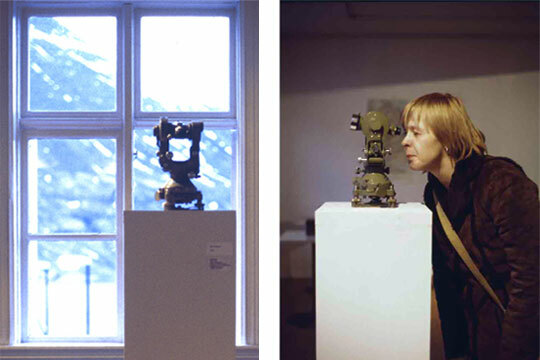 The installation was carried out in the village of Seidisfjördur on the icelandic east coast. 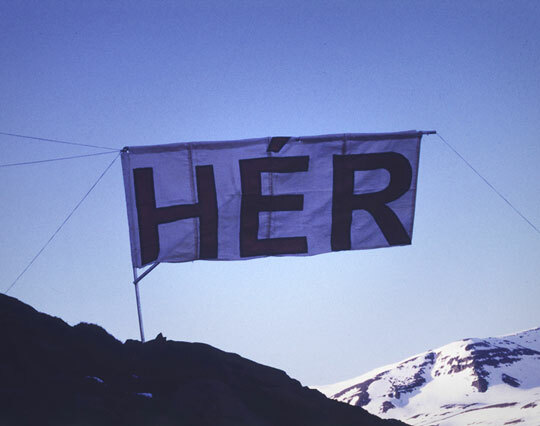 The installation consisted a flag provided with the text HÉR (HERE in icelandic). The flag was placed half-way up on the mountain situated opposite the gallery. In the gallery a strong telescope was aimed at the flag. Looking through the telescope one could read the text on the flag. Without a telescope the flag was invisible.